Posted by Jon in NECA, News with 15 comments. NECA News time! We got some Predator reveals as well as some new information on Prometheus, Batman stuff, Bioshock oldies finally coming out, and Man of Steel … we got it all! At first they said it wouldn’t happen because the Predator Trophy Skull Case diorama was supposed to be a reward for the fans who have been there since day one. If you want to see what figures you originally would have had to obtain to complete the skull collection head over to our checklist here. Well it looks like they rethought that strategy and will be offering a skull pack with all ten skulls included. I do hope this doesn’t hurt the sales of the series nine’s water uncloaking deco Predator, I find him to be quite cool. As we all know the third Prometheus series has bounced both Fifield and Shaw out of the way for two new Engineers. I’d heard people throwing the “Holographic” version around so I asked Randy at NECA and it looks like the variants are still undecided. I did get a “possibly” response on it. Though I’m trying to think of what else they could do with that Engineer body. I’m sure they will put something cool together. Our favorite (not so favorite) character from the film who was bumped from series two, Halloway, may find a spot with NECA’s SDCC esclusive lineup. The idea was put out there but is not confirmed yet, I guess they are doing the logistics work on that one. If this all lines up, that would be great to get one more human, even if he is the single least likable on the ship. Regardless, more Prometheus is always good! NECA’s first SDCC exclusive has been revealed! We get our second Predator from the Dead End fan-film: Albino. I’d previously thought they might include a trophy skull with this release, but that is not the case. No accessories and no skull included. This was first revealed over at ActionFigureInsider, so give those guys some love. 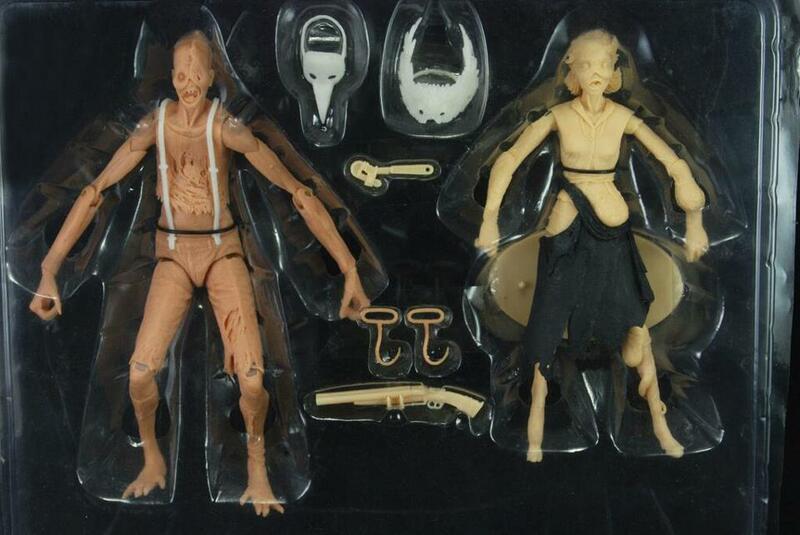 The SDCC 2013 Exclusive checklist has been updated with the Albino. NECA should be showing off another exclusive this week. Keep your eyes and ears open! Maybe not ears, no one is shouting these things out … but you get the point! 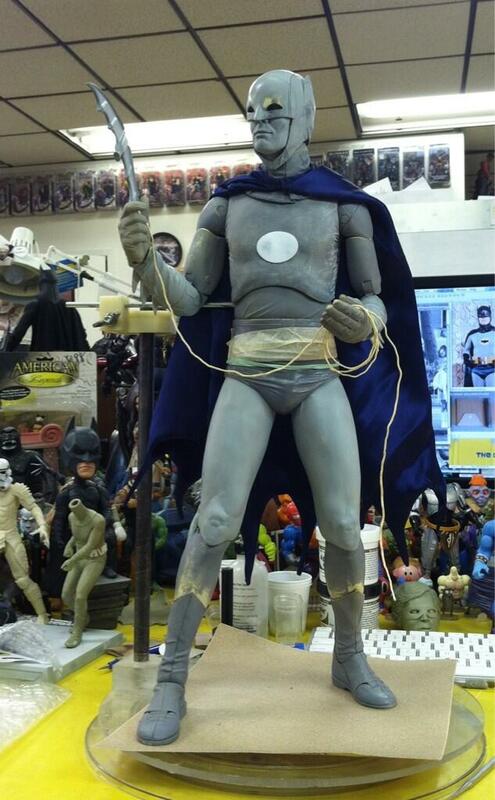 Remember that Adam West 18″ Batman NECA has at Toy Fair 2013? 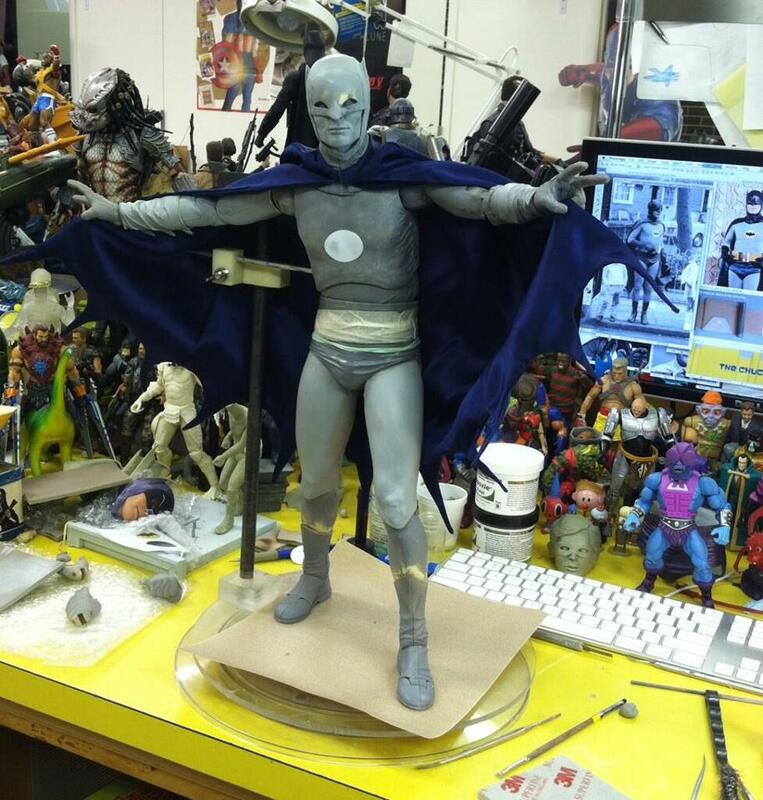 Well they have added articulation and multiple hands to make a pretty impressive figure for Bat-Fans. Also worth mentioning how cool their desks are over there, just littered with toys and a ROBIN HEAD. Examine this picture closely for some really awesome kit-bashes! That’s all I got for now, catch you later! 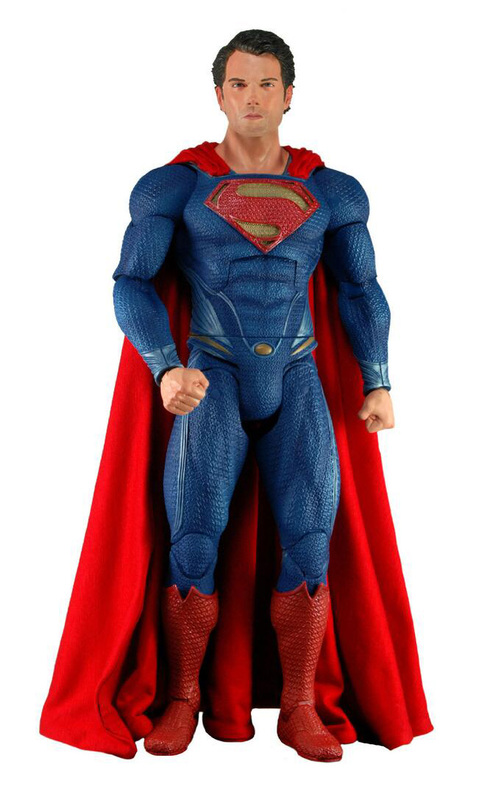 I like the Man of Steel figure the most as he is sort of realistically life-like and just who are the actual people who make the Man of Steel movie toys in general apart from NECA? is it Mattel? Thanks Jon and any news on the SDCC Hobbit action figure exclusives? Literally every company has the Man of Steel license, LEGO, DST, Neca, Mattel, Sideshow, Hot Toys ….etc. etc. Nothing yet on the Hobbit. Believe me I will go right to the site and post it once I get word. I know right? That Fisto with Beast Man armor makes me want to go buy that first weapons pack now. Believe it or not, I actually saw the albino predator coming but not as an SDCC exclusive. Whatever happened to the Half-Life 2 line? Was it just a one off or will they continue it? Nice post as always Jon. I think they are just spreading it around between all the Valve licenses. Portal 2 is also fresh in everyone’s mind so they are probably trying to capitalize on that. Once you get away from Gordon, HL characters get obscure for masses. I think so sorry Flutterlicious! Wow. Great news wrap-up. Thanks for this! That Adam West Batman drives me crazy. I’ve got no use for that scale due to price and size, but WHOA. Could that thing look any better? It’s insane! I don’t think the lighting is doing any favors to the Superman headsculpt, since he looks a bit weird there, but I can tell by the unpainted proto photos that the sculpt is great, too. Double jointed knees and an ab crunch. Wish Mattel’s Movie Masters had those, since their Superman doesn’t look too bad for 6″ retail. Glad to see Albino Predator! Looks really great. All that’s really left, I think, is the Wasp Predator since the other 2 I can think of are really similar to the Jungle and City Predators. 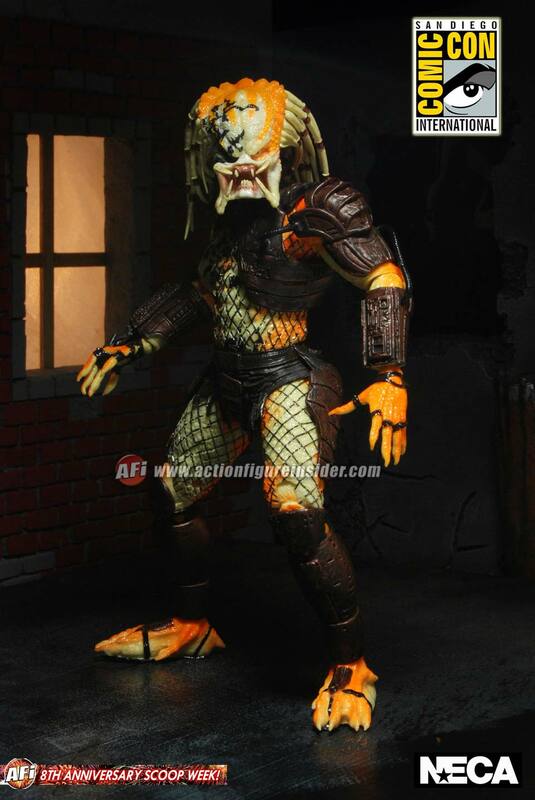 The Dead End City Pred costume is at a comic shop near here, and there are differences in the body but I can’t tell if they were done after the film was made. Good news about the remaining Bioshock figures, too! I never picked up the Ladysmith single release, so this will be well worth buying to me. Hoping the Engineer variants have something clever going on since if they’re both holograms they may look a bit boring and similar to one another on pegs. We need those things to sell out!